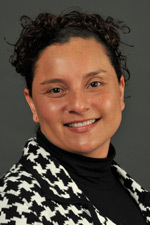 Marcy L. Peake is the Director of Diversity and Community Outreach Initiatives in the Western Michigan University College of Education and Human Development and is a faculty member in the Department of Family and Consumer Sciences. Her career has been dedicated to serving youth, creating and facilitating youth development programming, and to public education. The first 18 years of her career were spent in K-12 and youth development settings and the last six years at WMU. Marcy is a former Kalamazoo Public School Board of Education Trustee; the author of the book Please Understand; and is a State of Michigan Licensed Professional Counselor, National Certified Counselor, and Certified Family Life Educator. Her areas of interest include advocacy for marginalized populations, working with youth and families, and creating spaces that are anti-racist, anti-bias, and anti-oppressive.